Functional layout VT Education, developed by designers from Vtem, is the perfect choice to create a small website absolutely any thematic focus. The model is 100% table-less design, available in several colors, supports different kinds of menus, CSS, and a stylish design. 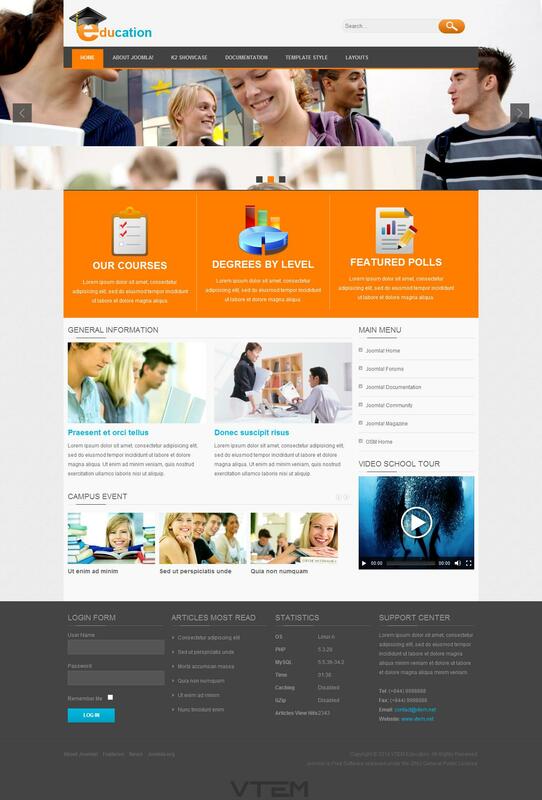 Layout is designed to work on version 1.7 and 1.5 CMS Joomla, and ensures instant download pages of a web resource.